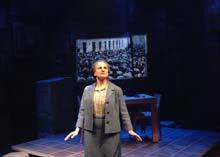 Starring four-time Tony Award nominee Tovah Feldshuh, Golda’s Balcony follows the trajectory of the life of Golda Meir from Russian immigrant to American schoolteacher to a leader of international policies as the fourth Prime Minister of Israel. 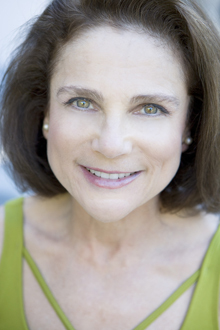 Tovah Feldshuh. Photo by Gino Domenico. Tovah Feldshuh as Golda Meir in Golda's Balcony by William Gibson, at The Old Globe, April 28 - May 30, 2010. Photo by Aaron Epstein. 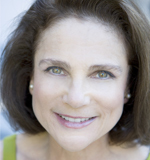 Tovah Feldshuh (Golda Meir) is an Associate Artist of The Old Globe and has previously appeared at the Globe in The Country Wife, Measure for Measure, Romeo and Juliet and The Two Gentleman of Verona. She has earned four Tony Award nominations for Best Actress and won four Drama Desk Awards, four Outer Critics Circle Awards, the Obie, the Theatre World Award and the Lucille Lortel Award for Best Actress for her work on the New York stage, from Yentl to Saravà! 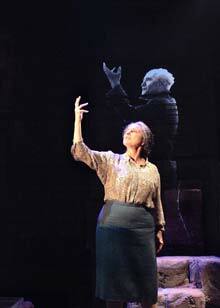 to Lend Me A Tenor to Golda's Balcony. Soon after its Broadway run, Feldshuh brought her Golda to Los Angeles, San Francisco and London. She then starred in New York as Polish Christian rescuer Irena Gut Opdyke in Dan Gordon’s Irena’s Vow. 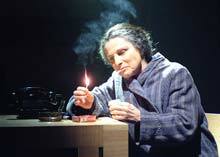 Her film credits include O Jerusalem (as Golda Meir opposite Ian Holm), Love Life, Love Comes Lately, Kissing Jessica Stein (Best Supporting Actress, Golden Satellite Award), A Walk On The Moon, Lady in the Water, Just My Luck, The Idolmaker, Toll Booth (Best Supporting Actress, Method Fest) and the soon to be released Mount Of Olives, Ten Stories Tall, Baker and Heterosexuals. On television, she received her first Emmy nomination for her portrayal of the Czech freedom fighter Helena in Holocaust. Her television credits include The Amazing Howard Hughes, Citizen Cohn, “The Cosby Mysteries” and “The Cosby Show,” and The Education of Max Bickford. In 2004 she was nominated for her second Emmy for her work on “Law & Order” as defense attorney Danielle Melnick. Her one-woman show, Tovah: Out Of Her Mind!, sold out in London’s West End and culminated in a symphonic concert with Billy Crystal at Los Angeles’ Royce Hall. Feldshuh created a new concert entitled Mining Golda: My Journey to Golda Meir which also played the West End, as well as Manchester, Leeds, Johannesburg and Sydney. William Gibson (Playwright) born in 1914 in New York City, was the author of poetry, fiction and scripts for stage, television and films. 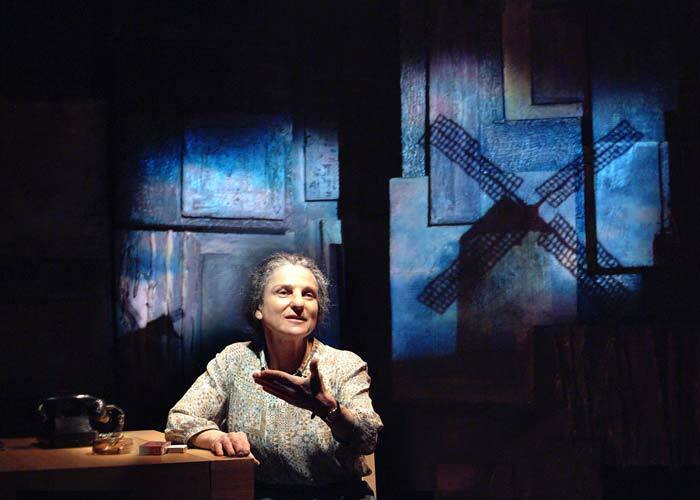 His plays include The Miracle Worker, which was originally produced for TV’s “Playhouse 90,” Two for the Seesaw, A Cry of Players, Golda, The Butterfingers Angel, Monday After the Miracle, Goodly Creatures and Handy Dandy, as well as the musical version of Clifford Odets’ Golden Boy. His several books include The Cobweb, The Seesaw Log, A Mass for the Dead, A Season in Heaven, Shakespeare’s Game and a volume of poetry entitled Winter Crook. The 1955 film version of The Cobweb was directed by Vincent Minnelli and starred Lauren Bacall, Charles Boyer and Lillian Gish. 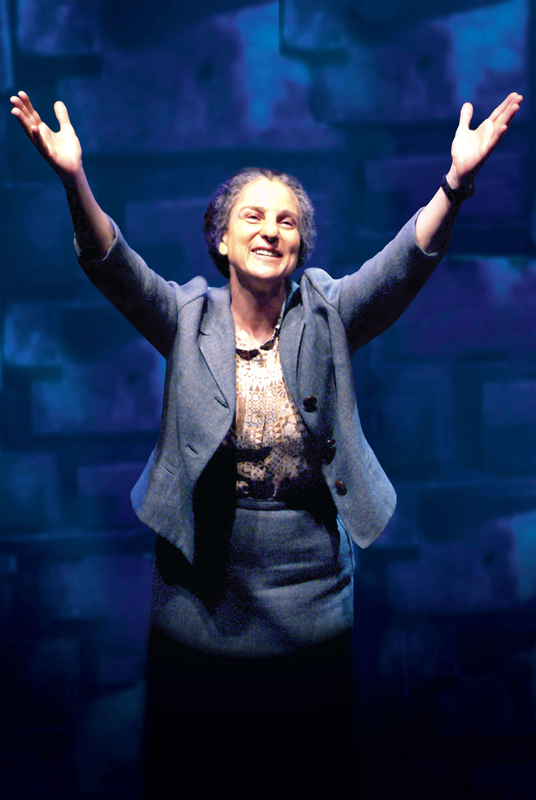 Gibson was elected to the Theater Hall of Fame in 2005. He died in 2008 at the age of 94. Scott Schwartz (Production Consultant) directed the Broadway productions of Golda’s Balcony and Jane Eyre (co-directed with John Caird). He recently directed Lost in Yonkers at The Old Globe starring Judy Kaye. His Off Broadway work includes Bat Boy: The Musical (Lucille Lortel and Outer Critics Circle Awards, Outstanding Off Broadway Musical; Drama Desk nomination, Outstanding Director of a Musical), Tick Tick…Boom! (Outer Critics Circle Award, Outstanding Off Broadway Musical; Drama Desk nomination, Outstanding Director of a Musical), Rooms: A Rock Romance, The Foreigner starring Matthew Broderick for Roundabout Theatre Company, The Castle (Outer Critics Circle nomination, Outstanding Director of a Play), Miss Julie and No Way to Treat a Lady. 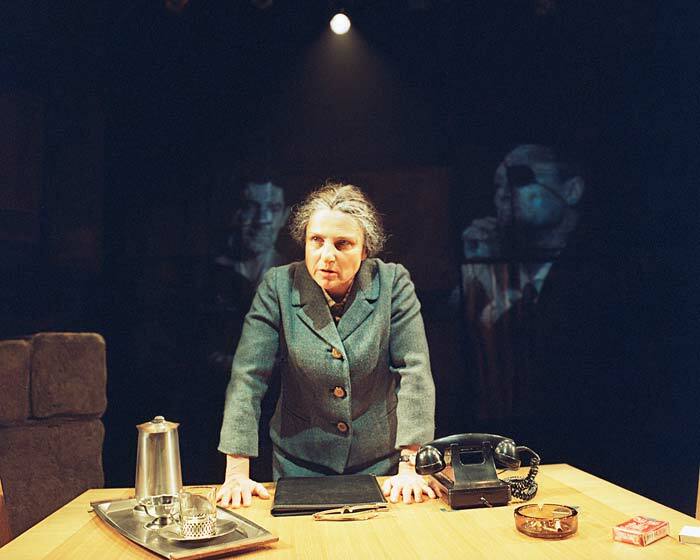 He also directed Golda’s Balcony in London, in Los Angeles at the Wadsworth Theater and in San Francisco at American Conservatory Theater. Most recently, he directed the world premiere of Séance on a Wet Afternoon, a new opera starring Lauren Flanigan, at Opera Santa Barbara. Schwartz’s other recent credits include Othello and Much Ado About Nothing at the Alley Theatre and a new reinvisioning of Seven Brides for Seven Brothers at Paper Mill Playhouse, Theatre Under The Stars, Theatre on the Square and North Shore Music Theater (2008 IRNE Award, Outstanding Director of a Musical). His regional credits include Alliance Theatre, Berkshire Theater Festival, Colorado Shakespeare Festival, Geva Theatre, Goodspeed Opera House, Pasadena Playhouse, Prince Music Theater, Rubicon Theatre Company, Signature Theater, Studio Arena and TheatreWorks. He directed the Grammy-nominated recording of The Prisoner of Second Avenue, starring Richard Dreyfuss and Marsha Mason, for LA TheatreWorks.